Under the patronage of the Ministry of Energy and Mineral Resources in Jordan, RCREEE signed a cooperation agreement with Jordan Standards and Metrology Organization (JSMO) to coordinate efforts for launching the Solar Heating Arab Mark and Certification Initiative (SHAMCI) in Jordan. JSMO Director General Eng. Rawly Madanat represented the certification authority, while RCREEE Executive Director, Dr. Ahmed Badr represented SHAMCI secretariat. 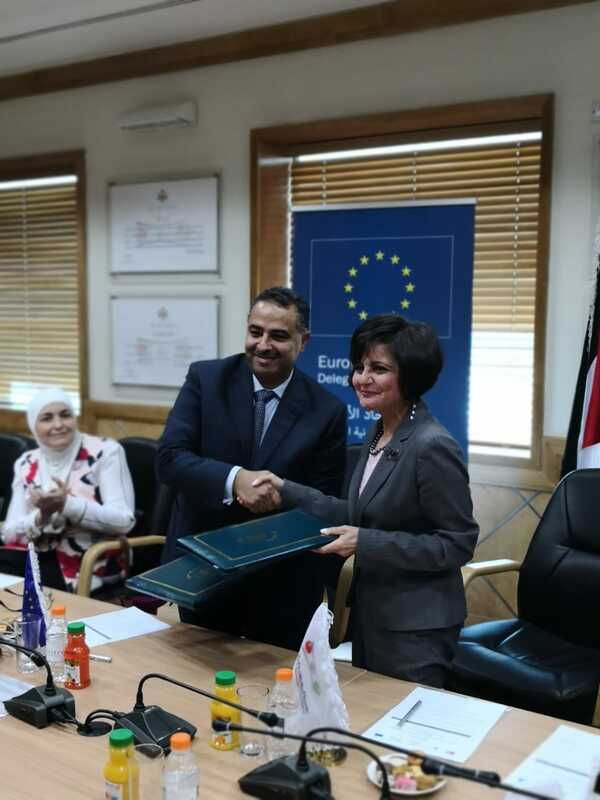 The signature ceremony was attended by representatives from various official and private sectors, international organizations and the European Union Commission, the main supporter of the project in Jordan. JSMO is the second Arab certification body to issue the "SHAMCI" quality brand for solar thermal products within Jordan. The Egyptian Organization for Standardization & Quality (EOS) obtained the right to award the “SHAMCI” quality certification in Egypt back in 2017. SHAMCI provides a regional industrial and regulatory compliance framework for policy makers, industrial sector, and end-consumers. The project is the first of its kind promoting the adoption of standard quality measures, accreditation systems and quality labels across the Arab region. SHAMCI was initiated by the Regional Center for Renewable Energy and Renewable Energy with the support of the Arabian Industrial Development and Mining Organization (AIDMO) and the Institute of Thermotechnics of the University of Stuttgart (SWT). based on the Arab Ministerial Council of Electricity (AMEC) of the League of Arab States request. SHAMCI project is currently coordinating with relevant Jordanian authorities to start receiving applications of manufacturers wishing to obtain the "SHAMCI" mark. To further support the project in its first phase in Jordan, notable incentives will be provided to the first applicants for SHAMCI.